Minister for Education James Merlino today announced Stage 2 of the Inner City Schools Package to deliver a new primary school for Docklands families and start planning new schools for the growing student population across the inner city of Melbourne including primary and high schools for the Fishermans Bend Urban Renewal Area. Stage 2 of the Inner City Schools Package underpins the Government's comprehensive response to the Docklands School Provision Review, which was released today. The Government committed to this review before the last election to tackle the huge backlog that had developed due to four years of inaction by the previous government. There will be 90,000 new students entering Victoria's schools over the next five years, and the new plan is aimed at addressing the state's future education needs. The announcement is supported by the unprecedented $1.8 billion package to build 42 new schools, upgrade and maintain existing schools, and buy land to meet this growing enrolment demand. Deliver a new Docklands primary school. The Government will finalise a site assessment for a new school then immediately act to acquire the site and undertake school planning. Deliver the balance of funding for South Melbourne Park Primary School and Prahran High School. Open the new Richmond High School and Ferrars Street Primary School in 2018. Identify sites for a new primary school to support North Melbourne families. The Government is currently assessing a number of sites across the Arden and Macaulay precincts. Identify sites and start planning for a new primary school in Fishermans Bend. 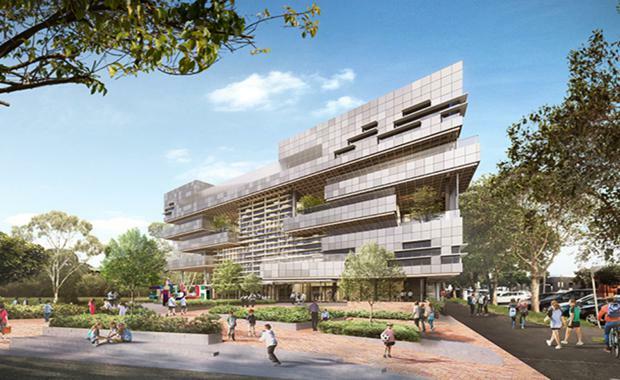 Identify sites and start planning for a new secondary school in Fishermans Bend. The Victorian Government has announced that short and long term measures are being put in place to support Albert Park College's increasing enrolments. In the 2015-16 State Budget, $2.3 million was allocated to the school. In the 2014-15 State Budget, $5.5 million was allocated to the school. In 2015, the school contributed $914,000 to the current project. New classrooms are expected to be completed for Term 1, 2017. In addition, Ferrars St Primary School's inaugural principal will be appointed twelve months before the school opens so local families can get enrolment support well ahead of the school's opening. Enrolment boundary changes will ensure Docklands families can access the school and University High School. The Victorian Government is building the Education State so every Victorian student has the opportunity for a great education and every community has access to a great school – no matter where they live.